After unveiling its A-star concept in the 2008 Auto Expo, Maruti Suzuki is all set to unveil its second concept car at the forthcoming Auto Expo scheduled for early next year. Though the company has not revealed anything, there is speculation that this concept car would be the first made-in-India car by Maruti Suzuki India Limited. 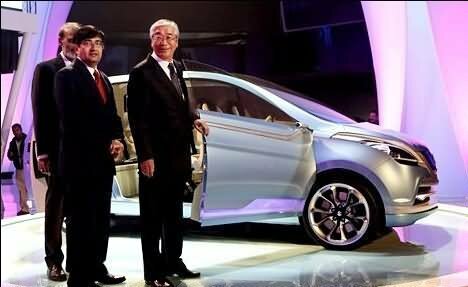 India’s largest carmaker, which had earlier reported that it will build a car on its own by 2012, has recently indicated to the media that it will launch the car based on its existing platform for the ‘Made-In-India’ car. Though the exact reasons could not be ascertained, it has been learnt from well-informed sources that due to insufficient engineering strength from Maruti, it will produce a small car on its existing platform. India’s largest passenger carmaker has, however, yet not revealed anything about the pricing, positioning or other specifics of the model. The made in India car will be another major step in the company’s efforts to achieve its goal of developing products on its own. “We would unveil the concept of our new small car that is being developed from scratch. This is first time Maruti is developing a new car on its own and the primary aim would be to exhibit our design skills and engineering talent. We may not have new platforms but display some interesting concepts for future cars,” I. V. Rao, the company’s managing executive officer (engineering), was quoted as saying to ET exclusively. It may be recalled that on the sidelines of SIAM meet in New Delhi, I. V. Rao was quoted as saying to reporters, “We have started the ground work to launch a car which is conceived, designed and developed fully in India. We are hopeful of rolling out the car in the next four years, he added. He, however, declined to comment whether it would be a small car or a bigger one. “We are discussing it internally,” Rao said, adding groundwork such as preparing for manpower, capacity and other related infrastructure has started,” as revealed by Rao more than 3 months back. “Our ultimate aim is to have products developed on our own,” Rao said.